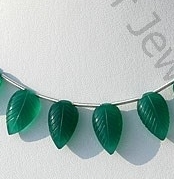 The shape of leaf is considered to be very beautiful. 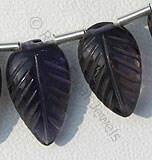 If you are one of those who love the shape of leaf then take a look at our exclusive collection of carved leaf gemstone beads. 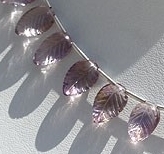 The shape brilliantly catches every facet of the beautiful leaf. 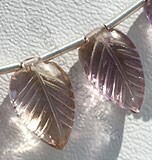 It comes up as a great choice for pendants. 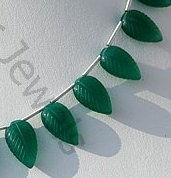 Ratna Sagar offers you a huge collection of carved leaf shaped beads in gemstones like Ametrine Gemstone, Iolite Gemstone, Blue Topaz, Peridot Gemstone, Green Onyx, Chrysoprase, Vesuvianite, Spessartite Garnet, Bi-Color Quartz , Prehnite Gemstone, Ruby, Sapphire, Black Spinel, Green Amethyst, Fluorite, Rhodolite Garnet etc. 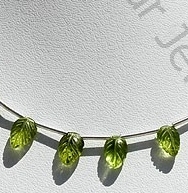 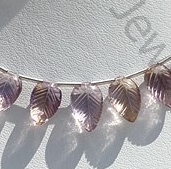 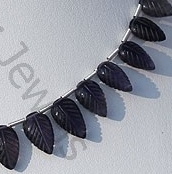 The leaf shape is available in almost every precious and semi precious gemstones. 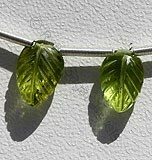 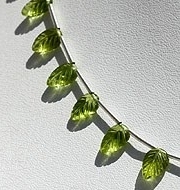 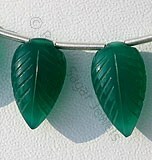 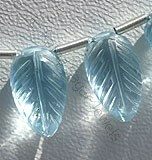 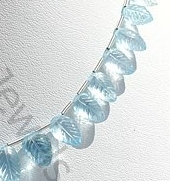 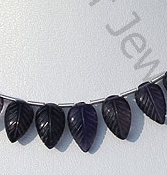 The best part is that we offer you these carved leaf shaped beads at a wholesale price. 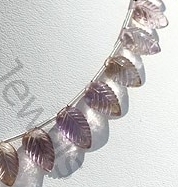 Ametrine Natural Gemstone is combination of Citrine-Amethyst quartz, possess property of transparent with vitreous luster and are available in purple-yellow light color with carved cut, Leaf Shape. 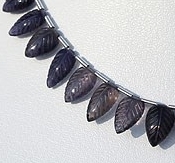 Natural Iolite Gemstone is variety of the mineral cordierite, possess property of transparent with vitreous luster and are available in deep blue color with artistic carved cut, Leaf Shape. 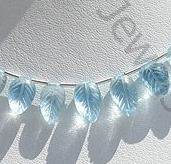 Blue Topaz Gemstone is irradiated and heat treated with colorless natural transparent Topaz to produce a more desired blue, with vitreous luster and are available with sky blue color in carved cut, Leaf Shape. 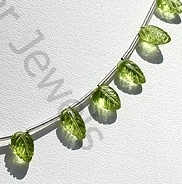 Peridot Gemstone is a variety of mineral Olivine, possess property of transparent with vitreous luster and are available in olive-green color withartistic carved cut, Leaf Shape. 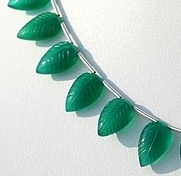 Green Onyx Gemstone is a variety of natural white chalcedony quartz, which is treated with deep green color, possess property of translucent with vitreous luster and are available in green color with carved, Leaf Shape.